I only started Christine In Color in October, but it seems like so much has happened already! I’m looking forward to sharing outfits with you in 2013! Here’s a look back at some of my favorite looks of 2012. Thank you for reading! Posted in Outfits and tagged Banana Republic, Baublebar, Chambray, Everyday Sparkle, H&M, Holiday, In Pink, J. Crew, J. 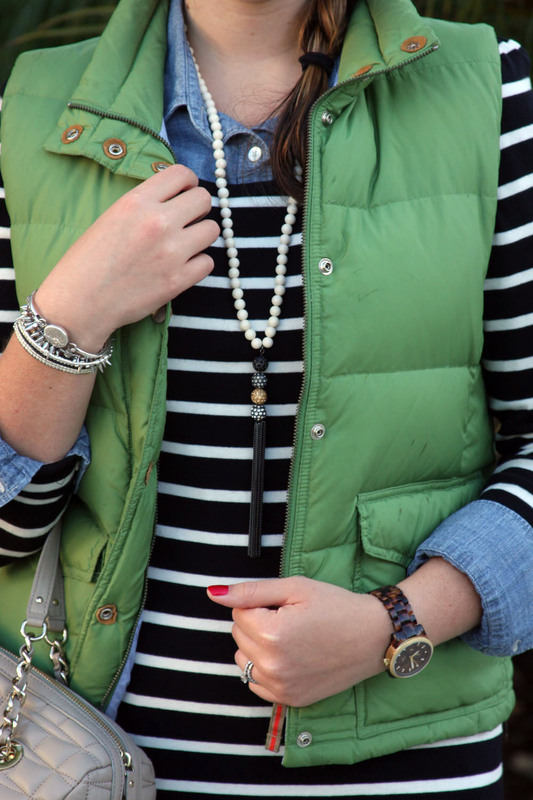 Crew Factory, Kate Spade, Layering, Michael Kors, Old Navy, Paige Denim, Polka Dots, Print Mixing, Stella & Dot, Stripes, Target, Tartan, Tweed, Zara. Bookmark the permalink. I’ve been a bit leery to try the denim on denim trend, even though I’ve seen other people pull it off. Something in my psyche tells me it’s wrong. 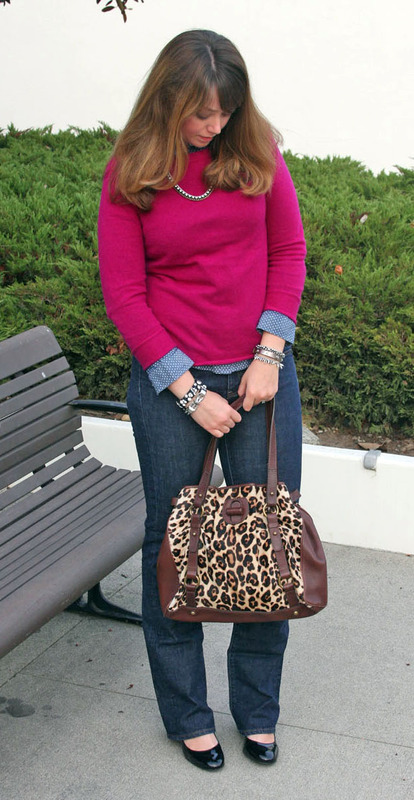 I sort of cheated in my first attempt at denim on denim by putting a bright sweater over my polka dot chambray top. I decided it still counted because I would wear the outfit without the sweater if I got too hot. Since the top is a significantly different shade of blue and has a pattern, I think it works. I should’ve taken a photo without the sweater so you can help me decide if it looks great or if I’m crazy. Do you denim + denim? Posted in Outfits and tagged Denim on Denim, J. 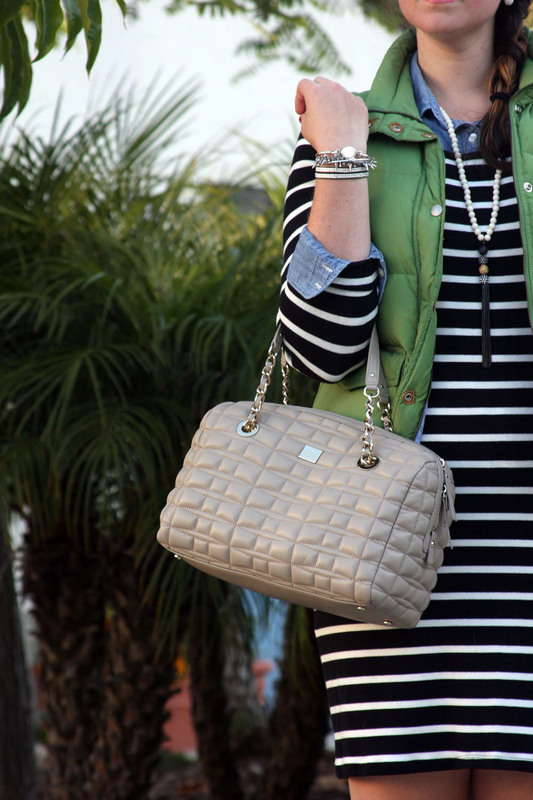 Crew, Layering, Leopard, Nine West, Old Navy, Polka Dots, Stella & Dot. Bookmark the permalink. Posted in Outfits and tagged Chambray, J. Crew, J. 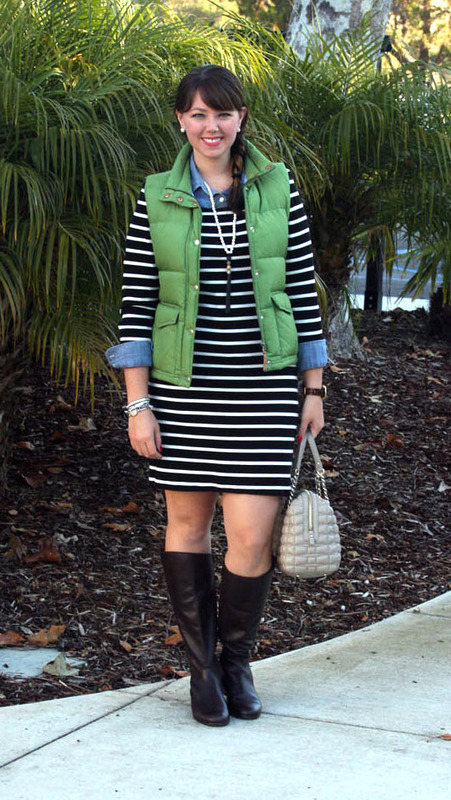 Crew Factory, Kate Spade, Layering, Michael Kors, Nordstrom Rack, Old Navy, Stella & Dot, Stripes, Wear 3 Ways. Bookmark the permalink.